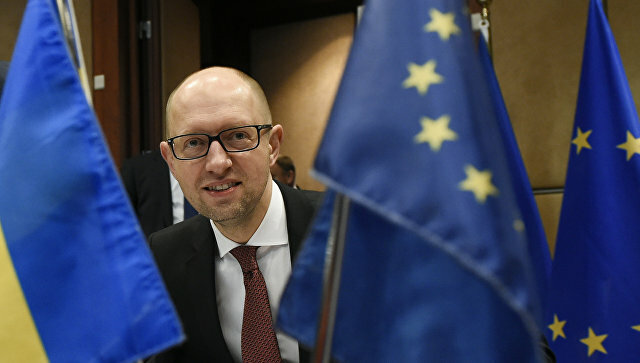 The head of the Ukrainian Interpol bureau, Vasily Nevolya, has commented that the situation with the verification of ex-premier of Ukraine, Arseniy Yatsenyuk, at the Geneva airport is not connected to any instructions of Interpol to detain the politician. “There was a standard passport control procedure, after its completion, Arseniy Yatsenyuk was let through, and he was given the opportunity to cross the border of Switzerland. The events that occurred at the airport are in no way related to instructions for Interpol to detain Yatsenyuk, ” he said. The press secretary of Yatsenyuk, Olga Lappo, stated that the the politician was detained on passport control, allegedly at the request of Russia, but after the check he was released. The Ministry of Internal Affairs of Ukraine noted that there are no obstacles for the ex-premier’s movement around the world on the initiative of Interpol. In March, Moscow transferred to Kiev a copy of the court decision on the arrest of Yatseniuk in three articles: “Participation in an armed group,” “Responsibility for an attempted crime,” and “Intentional homicide.” The Investigative Committee stated that they have evidence of the participation of the former prime minister of Ukraine in the Chechen war of 1994-1995. Yatsenyuk denies the charges and plans to file a lawsuit with the ECHR.